This amazingly simple, and deliciously creamy Slow Cooker Beef Stroganoff needs to make it onto your menu this week! The boys had soccer games yesterday and both Chris’s parents and my dad came to watch. We also had Chris’ brother and my brother there to cheer the boys on. We went to a late lunch at a local Chinese restaurant with the whole family. After we had ordered, Bryce, who has been super obsessed with spelling everything as of late, started telling me how to spell “sove”. S-O-V.E. I would have been really impressed but, as far as I knew, that word doesn’t exist. I asked Bryce to use it in a sentence (this is my fall-back method for determining the word he is trying to spell) and he said, “You know, like she is going to sove us our food. Sove.” And that’s pretty much exactly how he says “serve” too. This has been happening a lot lately. Bryce has been in speech therapy since he was 3. He pronounces certain words and sound combinations, well, differently. I think it’s adorable and have the hardest time correcting him but when things like this happen, I kind of feel like I have no choice. I explained to him that the word is pronounced “serve” and that it’s spelled “s-e-r-v-e”. He disagreed. Ah well, you win some and you lose some 🙂 I’m just making extra sure that I pronounce that word very clearly from now on. Last week I “soved” up this slow cooker beef stroganoff to my adoring family. Yeah. It was a total winner. I realize that it’s not the prettiest dish in the world, but people, boy oh boy is it gooood. I sear up the beef and saute the onions and mushrooms before hand so there’s a whole lot of flavor making it’s way into your slow cooker. These extra steps are totally worth and if the response of my family was any indication, it will be worth it to you too. I made this up as I went along and after whisking in the sour cream at the end, found the sauce wasn’t as thick as I like it. I looked in the fridge for inspiration and landed on a block of cream cheese. Mmmm…the cream cheese made the sauce so creamy – I’m going to be using it in my skillet stroganoff from now on. If you’re like, uh-uh, I don’t want cream cheese in my stroganoff, you can make up a slurry of cornstarch and water to thicken the sauce instead. Go with the cream cheese though. Seriously yummy. This amazingly simple, and deliciously creamy Slow Cooker Beef Stroganoff needs to make it onto your dinner menu this week! 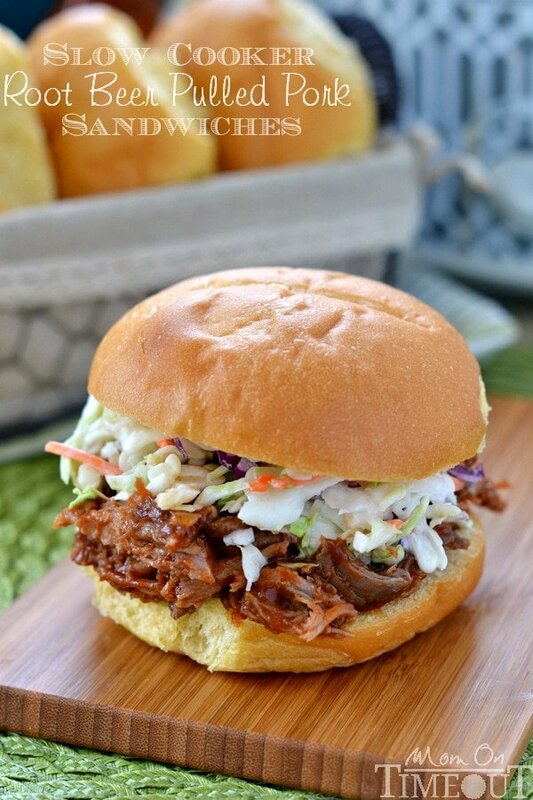 Lightly spray 3-4 qt slow cooker with cooking spray. Lay out strips of sirloin and season with pepper. Brown sirloin in olive oil over medium-high heat in a large skillet. Do this in 2-3 batches so that the meat sears nicely. 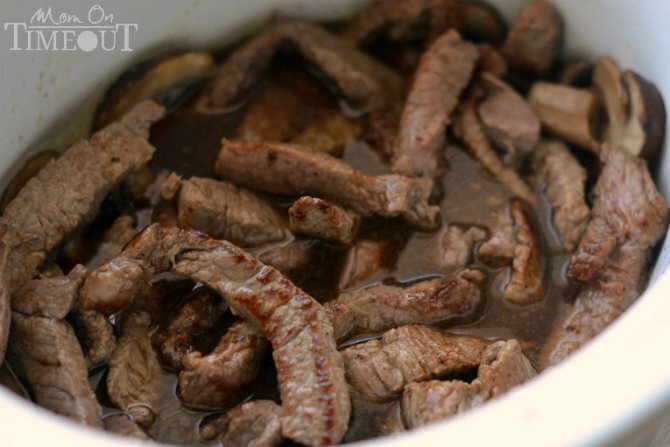 Remove beef from skillet and transfer to slow cooker. Add butter to skillet and saute onion and mushrooms for several minutes. Pour in can of beef consommé and stir, making sure to loosen anything stuck to the pan. Transfer entire contents of skillet to slow cooker. Stir in one cup of beef broth. Remove one cup of liquid. Transfer mushrooms, onions, and meat into a separate bowl with a slotted spoon. Whisk in sour cream and cream cheese until nice and smooth. Add liquid back in until desired consistency is achieved. Place mushrooms, onions, and meat back into slow cooker, stirring gently to distribute. Prepare egg noodles according to package directions Stir in butter. Serve beef stroganoff over buttered egg noodles, sprinkling with parsley if desired..
Hi Trish. I make a mean beef stroganoff my self… An adaptation of the Campbell’s Cream of Mushroom recipe. Just more robust. I’d like to try this. Can you tell me how the cream cheese affects the taste and consistency? Butostly the taste. A little leary of using that. It really makes it creamier. 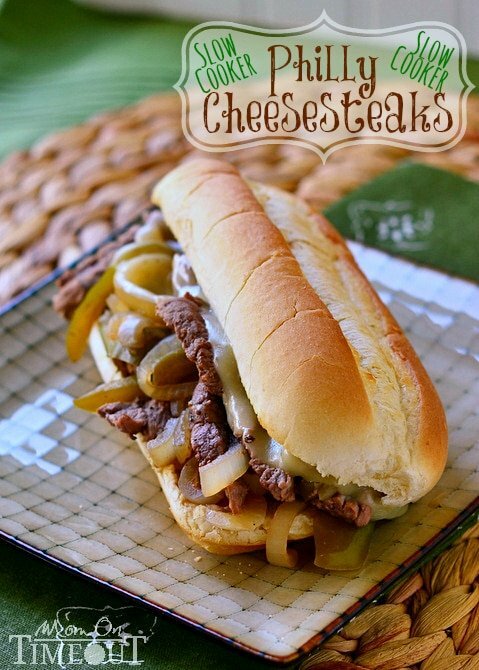 You can’t taste it too much but if you don’t like cream cheese, you might want to try a different recipe. Sounds delish. Can’t wait to make it. Do we have to use consumme or can we add extra broth? You could do that if you want Stacey – the broth isn’t quite as flavorful though. LOL! You are too much Meggan! Thank you! It’s so hard correcting kids when we find them so adorable. I have the same problem with my youngest when he is being mischievous! 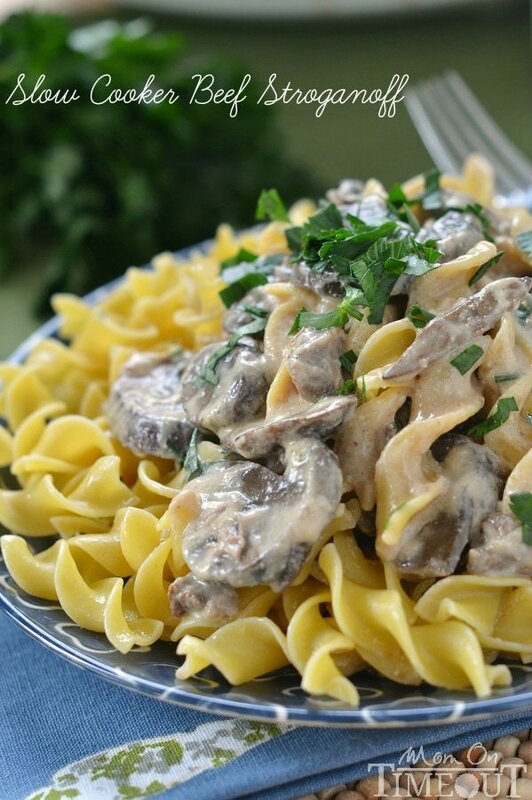 I love this stroganoff and I know my kids would probably gobble it up too! This looks so good! I haven’t had beef stroganoff in ages! 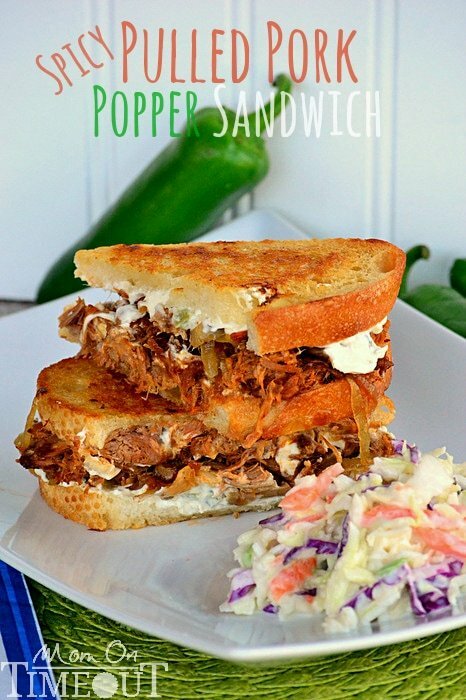 Looks like its time to get the crock-pot out so I can make some again. It’s definitely crock pot season! Thanks Kate! Oh my gosh, I would have a hard time correcting him too! That’s adorable. Also I just have to say these photos are beautiful. Stroganoff is not easy to photograph! Let’s be honest, stroganoff is u-g-l-y. I did what I could 😉 Thanks Karen! It certainly does the trick 🙂 Thanks Aimee! 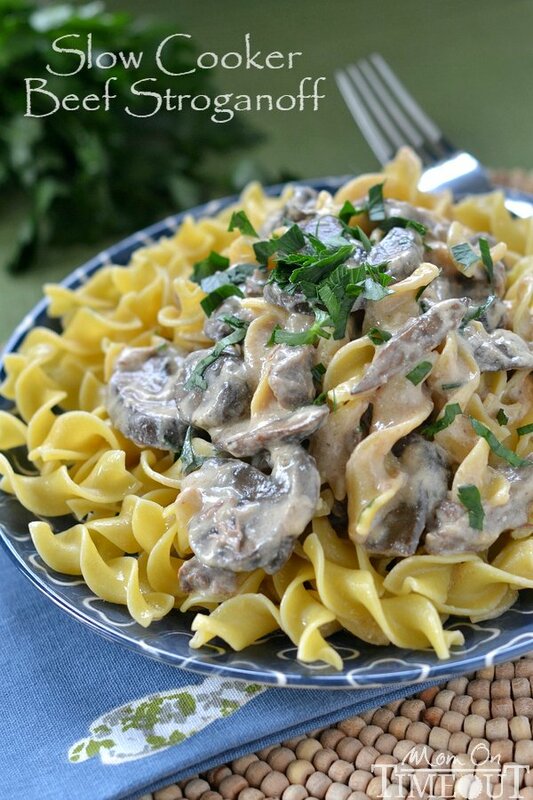 I love beef stroganoff, but never get around to making it. 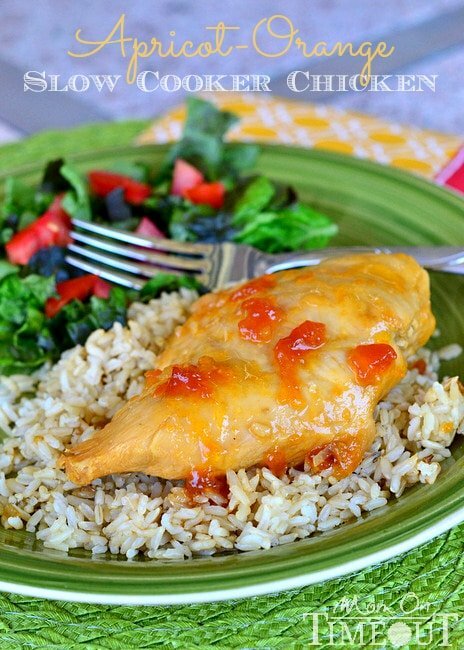 This looks absolutely delicious, and I love that you can whip it up in a slow cooker!